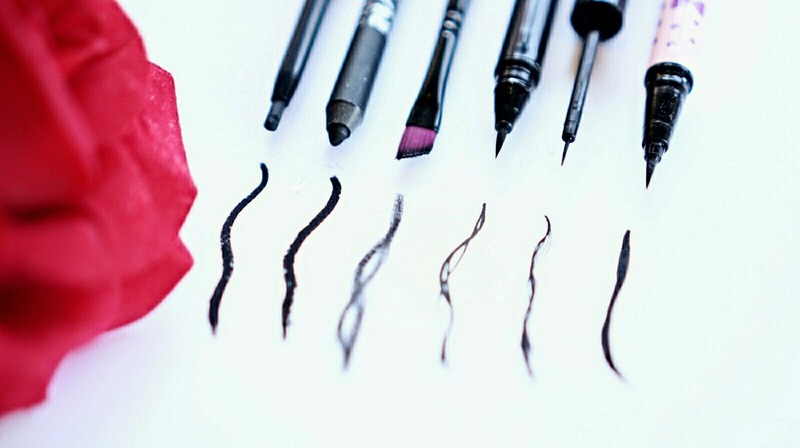 Eyeliner to me is the best enhancement cosmetic to outline the most important feature of your face. 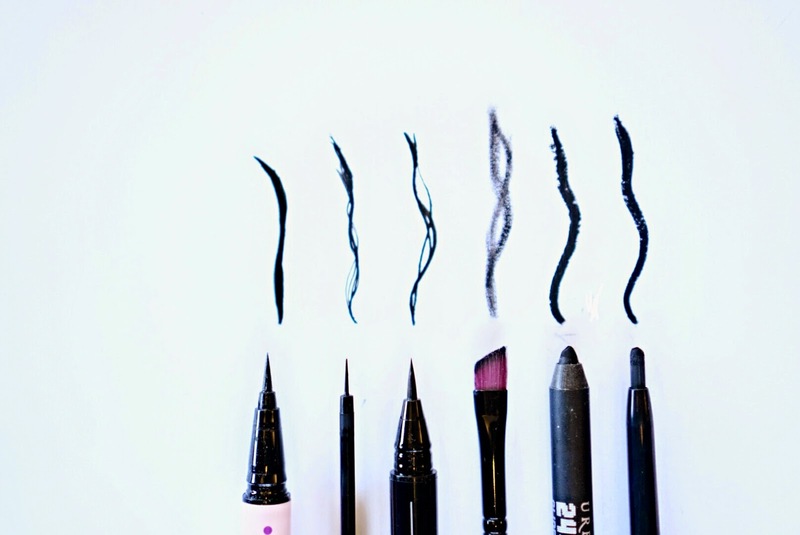 There are many things I look for in an eyeliner and certain types as well. 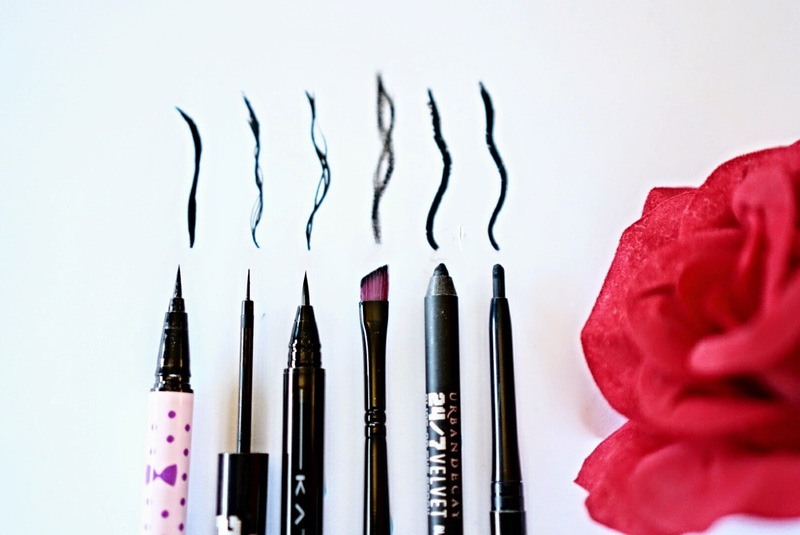 Here is a few of my favourite eyeliner from pencil, gel & liquid eyeliner. Dollywink Liquid Eyeliner Black: ★10/10 - My favourite eyeliner by far. It is easy to use, the formula dries fast, makes great fine lines and awesome colour pay off. Another important point for this eyeliner is that it is easy to remove with any makeup remover. Urban Decay 24/7 Liquid Eyeliner Perversion: ★9/10 - This liquid eyeliner is the blackest of black. The most precise tip I have ever used and a formula that dries pretty quick. But takes a few good tries to get the perfect line and harder to remove because of it's long lasting ability. Kate Super Sharp Liner BK-1: ★8/10 - This eyeliner is almost as precise as the Urban Decay Perversion but the formula takes a lot longer to dry, hence easy to smudge if you're not patient. Maybelline Eyestudio Gel Liner w/ Sephora Precision Angle Brush: ★9/10 - With an angle flat tip brush, Maybelline gel liner is a really fun liner to work with. It can easily make any shape, size, and darkness of lines. The brush is easy to use, quick fixable and produces the perfect wing. Urban Decay 24/7 Velvet Glide-On Eye Pencil Blackest Black: ★8/10 - This pencil liner is very black in colour. It has a crayon texture, very velvety texture, smudge-able, works great for smokey eye makeup, and like the name it glides smoothly. Super easy to use, great for beginners. Sephora Retractable Waterproof Eyeliner Black: ★8/10 - This is the first liner I've ever bought. Love the retractable pencil and soft colour pay off. Fixable after applying and great for tight-lining. But needs touchup throughout the day and can smudge if you have oily lids. You listed one of my all time favourite gel liners on your post! I think Maybelline hit the jackpot with that formula, it's amazing!! Totally agree. I love this product so much. Easy to use, great for beginners! Would love to try Dolly Wink. Am I able to get it at a store somewhere in Calgary or just Amazon? Btw, love your blog! Hi Dyan! You can get DollyWink in Calgary @ Dragon city - chinatown 2/F beauty store. Or you can also get it online at sasa, prettyandcute, eyecandy, imomoko etc.